Plain Adhesive Tapes Cutting, Self Adhesive Bopp Tapes Cutting, BOPP Colored Tapes Cutting, Plain Tape Cutting, Color Tapes Cutting, Pre-Printed Message Tape Cutting, Pre-Printed Adhesive Tapes Cutting, Protective Film Cutting, BOPP Tape Plant, Cello Tape Machine Plant, BOPP Self Adhesive Tape Plant, BOPP Tape Slitting Machine, Printed Packing Tape Cutting Machine and many more per custom requirement of different types of Tapes. We have been also dealing in Plastic Packaging & Converting, Textile Processing, Paper Industries, and Tyre – Cord & Technical Textiles Machinery from India. 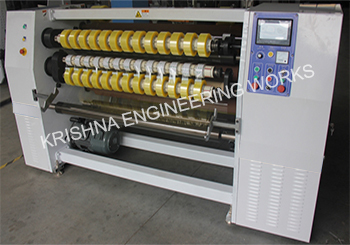 Bopp Tape Making Machine, BOPP Tape Slitter Rewinder Machine Manufacturer, We provide a whole range of products & machinery for all the industries that can be used from inception of raw material to the end product / output for the customer. 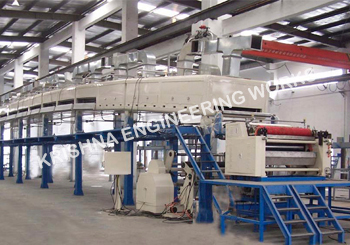 High-quality BOPP Tape Making Plant, BOPP Tape Making Machine, Bopp tape slitting machine, Bopp cutting machine and 1000 mm Working Width BOPP Coating Machine Plant Complete in all respects with Two Web Aligner Units, Heaters, Blower, Motor with Panel and all accessories as per Technical Specification Annexure Enclosed herewith. Also, it includes BOPP Tape Cutting Rewinding Machine, BOPP Mini Tape Slitting Rewinding Machine, BOPP Tape Slicer Machine, Roll to Roll BOPP Tape Salvage Winding Machine, Core Cutter Machine and, Rotogravure Printing Machine. 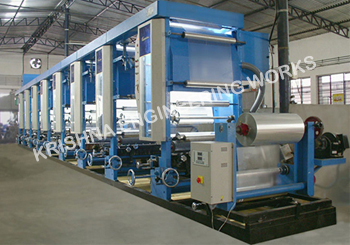 BOPP Tape cutting machine with heavy duty equipment, a heavy structure for BOPP tape making machine, Cello Tape Machine Plant and BOPP Tape Plant. Cutting, Slitting and Slicing has also designed for Foam Tapes, Double Side Tissue Tape, Masking Tape, Electrical Insulation Tape, Aluminum Foil Tapes, LDPE Surface Protection Film, etc..